This ticket is for one attendee at the New Product Blueprinting Public Workshop and includes breakfast, lunch and snacks as well as all course materials and a group dinner on Tuesday evening. Lodging and transportation are the responsibility of the attendee. Since 2005, thousands have learned New Product Blueprinting one way: their company hosted an in-house workshop. Now you can attend a public workshop taught by The AIM Institute’s founder, Dan Adams, and The AIM Institute staff. Note: This workshop occurs immediately before a 1-day LaunchStar Product Launch workshop in the same location. Schedule: 2 days, April 2-3, 2019. Each day begins with a continental breakfast, 7:45-8:30am. The course runs 8:30am-5:00pm (day 1) and 8:30am-4:30pm (day 2). 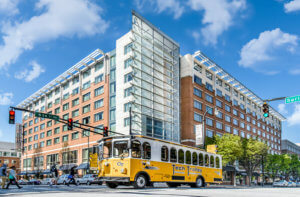 Location: The workshop will be held at the Georgia Tech Global Learning Center in Technology Square – the heart of Midtown Atlanta’s thriving retail neighborhood – we’re only moments from the city’s best restaurants, coolest shops and most fascinating attractions. Visit the High Museum of Art, the Fox Theatre, explore the Georgia Aquarium or stroll through Midtown Atlanta. What you’ll take home: At the workshop, you’ll receive all the software, e-learning and job aids that in-house workshop learners receive. At no extra cost, you’ll also receive 12-month access to the Discovery portion of AIM’s new web-based Blueprinter 5.0. Note: Prior to the workshop, you will receive 1) log-in credentials to the AIM e-Learning center, providing access to 31 e-learning modules for 12 months, and 2) credentials to download web-based Blueprinter 5.0, with 12 months of access. Early Bird Discounts: A $400 "super early bird" discount is available until 60 days prior to the workshop and a $200 “regular early bird” discount is available until 30 days prior to the workshop. Next Steps: 1) Use the Order Now button at the top to register for this workshop. 2) Book your sleeping room. 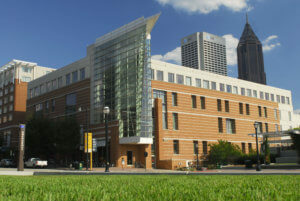 We recommend the Georgia Tech Hotel, which is conveniently adjacent to the Global Learning Center, providing a covered walkway access on the second floor and a shared covered parking deck. Information: For more information on the course, visit our website: New Product Blueprinting. For logistics details, contact ann.eiden@theaiminstitute.com. For other questions, contact scott.burleson@theaiminstitute.com. Special Offer for You and Your Colleagues: Consider staying an extra day for the LaunchStar product launch workshop on April 4 at the discounted price of $995, or if you have a colleague focused on product launch, share this opportunity with them. After you register, you'll receive an email with a special multi-workshop discount code in it (available to both you and your colleagues) to use when registering (this offer cannot be combined with any other offers). Your colleagues do not need to attend both workshops to take advantage of the savings! Full refund will be permitted if AIM is notified in writing by attendee of cancellation at least 60 days prior to the event. A 50% refund will be given if notified at least 30 days prior to the event. No refunds will be given if cancelled within 30 days of event, but a) your fees can be applied to a future workshop (public or in-house), or b) you may substitute another attendee from your company.